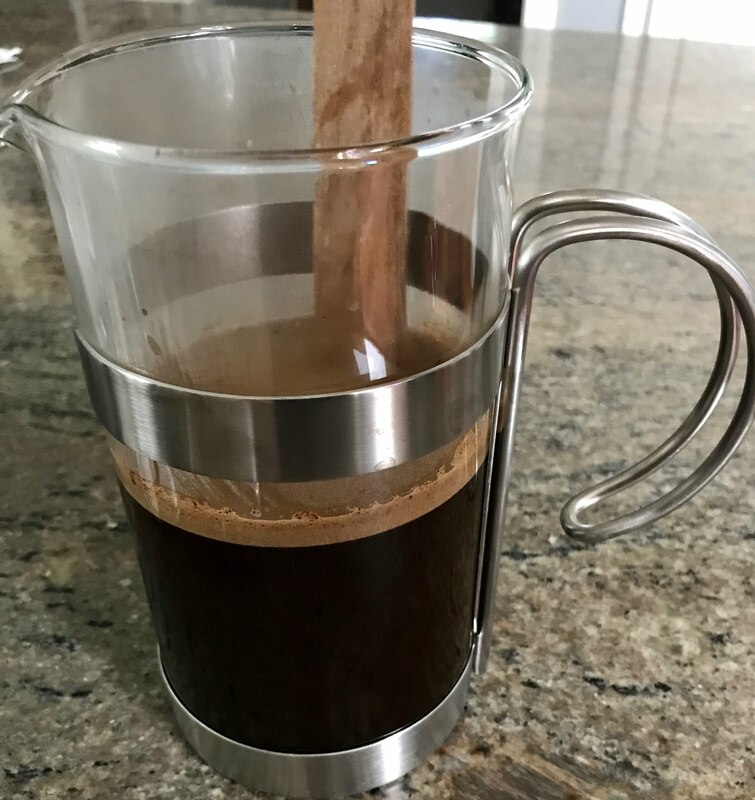 The French Press, also known as a cafetière or coffee press, consists of a beaker and a hand plunger with a mesh piston at the end. While the French Press makes a beautiful, rich cup of coffee if used brewed properly, there are a few pitfalls to navigate on your journey to the perfect cup. Materials needed: A French Press, kettle, and coarsely ground coffee. Step 1: Add your coarsely ground coffee to the beaker. We recommend using 2 heaping tablespoons (15-16 grams) of coffee for every 6 ounces of water. If you are using a thermal or ceramic press, we suggest warming the beaker with hot water prior to adding the grounds — just pour in a few drops into the beaker, swirl it around, discard the warming water, and then add your grounds. If you enjoy adding a little spice to your cup, this is the perfect time to add that shake of cinnamon, pinch of chocolate, or other great add-in. Step 2: Boil your water until it reaches between 195-205o F. Pour the hot water into the beaker, over your coffee grounds. If your kettle does not have a thermometer, bring your kettle to a boil, remove it from the heat, and let it cool for 5 seconds before pouring the water over your grounds. Step 3: Wait 35-45 seconds and then stir the grounds vigorously for 5-10 seconds to ensure full emersion. Once stirred, leave the grounds to steep for 4-6 minutes, depending on your preferred texture and extraction. Step 4: Gently, slowly depress the plunger until the piston is resting at the bottom of the beaker. While I don’t like to harp on gently and slowly, I must! Even the best French Presses can and will spurt coffee if the piston is plunged too quickly. Additionally, glass presses may crack if too much pressure is exerted. Plunge GENTLY and SLOWLY. Step 5: Enjoy your coffee! For additional information on the French Press and other brewing methods, check out our blog entry.